Yesterday I woke up to the phone ringing. It was my mother telling me she’d hurt her back opening a window. The shocking thing about this was not so much the injury as the fact that she felt so hot she wanted the window open. Usually she wears a sweater and a thermal undershirt in 90 degree weather. Perhaps it’s a testament to our frigid winter that 70 degrees now seems sweltering to her. Whooshing through the doors of the ER is like entering a portal to wonky time. First comes the period of painful (pun intended) slow motion, which begins the moment you enter the registration line. It doesn’t matter if you have a Monty Pythonesque flesh wound (like the poor older man I stepped aside for yesterday) or about to deliver a baby (who turns out to be a girl and is named Jenny) right in the waiting room, the staff pecks unhurriedly at the computer as if they’ve never seen a keyboard before. If you’re not “in their system,” they usher you into a secluded office for the Insurance Assurance Process, during which the hospital assures itself you have insurance. Here a hushed negotiation takes place—similar to buying a new Mercedes or diamonds at Tiffany’s, either of which would be much, much less expensive. I’ll spare you the agonizing layover in the waiting room, where the monotonous drone of the ceiling TV destroys whatever sense of passing time you have left, and the Pandora’s Box of actually getting a “room” (Hope, really is the worst evil) and meander along to when time mysteriously accelerates: Discharge. As soon as the discharge papers are signed, the bed rails collapse, the wheelchair appears out of nowhere, and you’re whisked out to your car. My mom never even changed out of the hospital gown. Our healthcare treatments are evolving in amazing ways. Not only are doctors using immunotherapy, in which your own body’s natural defenses heal you, they are employing psychotherapy in new and inventive ways. The placebo effect is well known, but have you heard of the neighboring patient effect? Those flimsy curtain dividers between ER “rooms” are no mistake. 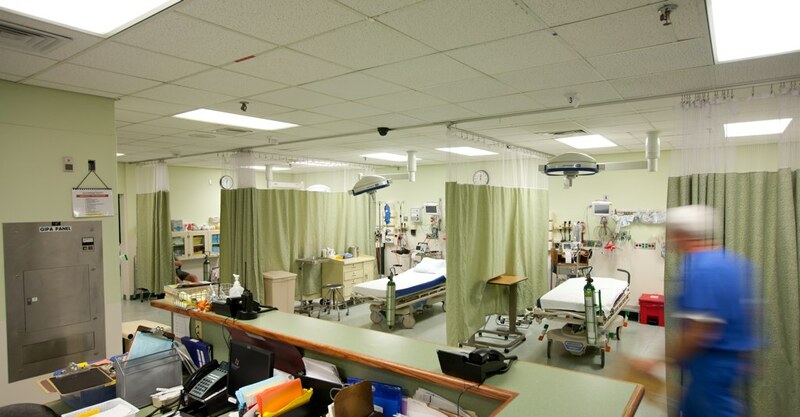 This may look like a normal room, but it is actually at the cutting edge of treatment. Image courtesy of Kona Community Hospital. To aid the healing process (or at least the discharge rate), patients with diseases or conditions much worse than yours are placed on either side of your cubicle. Then the nurses conduct long interviews you can’t help but overhear. The psychology of comparison goes to work, and you soon begin to feel a lot better, even wondering why you came into the hospital in the first place. I mean, what would you rather suffer from: a bad back or a disastrous gastric bypass operation that has resulted in a recurring fungal infection, tinnitus, memory loss, the inability to eat, and chronic pain? I rest my case. My mother was a nurse-anesthetist back when it was unusual for women to hold such positions and she knows the score, yet she always plays along. I could almost see her eyes rolling under her closed lids before she answered craftily, “Well…” and began to tell the story of her injury almost from the day she was born until she tried to open the window that morning. Booyah! The Time Warp back atchya! The doctor went away, eyes glazed over. I’m thinking he took advantage of Psychotherapy himself and talked to the doctor treating my mother’s neighbor, because when he came back he looked as if he was feeling better and was again sporting the jaunty smile. He diagnosed a compression fracture of two vertebra and prescribed pain medication and a hospital bed for her room at home. 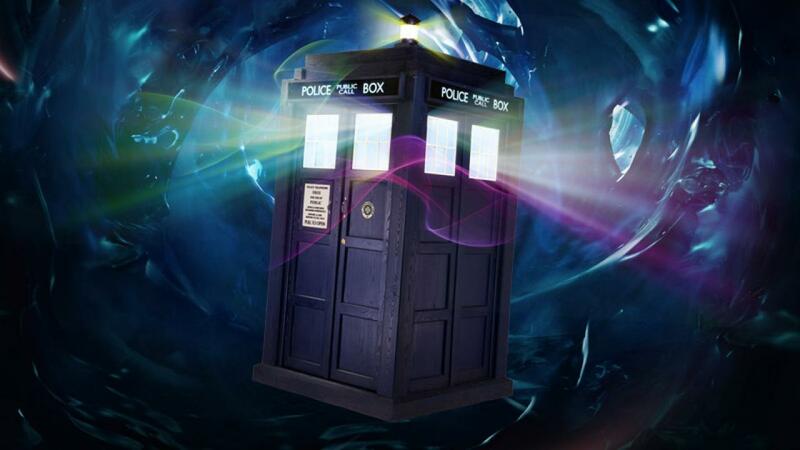 Then with the speed of the TARDIS zipping from one dimension to another, he was gone and we were on the road home. In the blink of an eye, you’re leaving Eerie Reality and heading home. Image courtesy of the BBC. All in all the trip to Eerie Reality was everything one could expect. My mom even has the hospital gown as a souvenir!